People in manufacturing companies live a fast paced and often stressful life, and this can create bad habits. I have the highest respect for the people who work in this industry and I love serving them by bringing a positive perspective into their personal and professional life. My “Manufacture Your Day” list is growing and this week someone approached me and asked if I had ever thought about monetizing these messages. 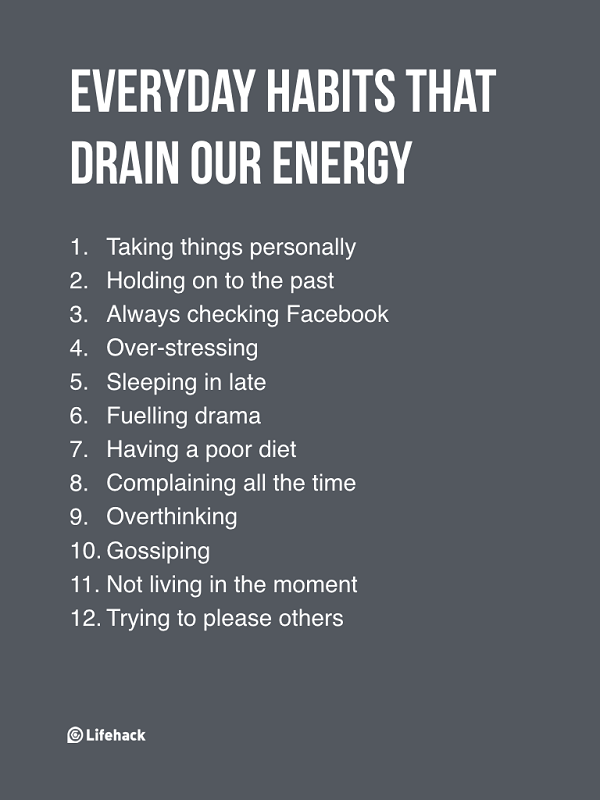 Bad habits such the ones mentioned above are so common but I want to tell you about another “energy drainer”. People who come to meetings with their cell phones. They tell me that it is an expectation from top management that they are available 24/7. Can this be the truth? I would like to make you aware that this is a productivity killer. If we ask people to stay on top of everything, it will eventually wear them out. I observe people who desperately try to multitask, stay on top of 100s of emails and that’s how they lose focus, become distracted, overwhelmed and frustrated. If people are at the meeting early, they should rather learn to connect with one another than staring at their phone. It has been said that “a lot of problems would disappear if we talked to each other instead of about each other”. Rather than strategizing, should we maybe pay more attention to humanizing?